Take a slice of bread. 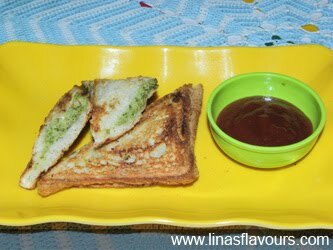 Apply butter, spread green chutney. On another slice apply butter and garlic paste and cover it. Do the same with remaining slices. Toast or grill the sandwiches. Serve it hot with tomato ketchup.